Gin was first created in the early 17th century. It’s precursor was known as Jenever or Genever (which is it’s own spirit category). It was a rough distillate used as a medicine to treat stomach pains, gout and gallstones. Since it didn’t taste too appetizing, it was flavored with Juniper berries. In the 11th century, Italian Monks did almost come upon gin when they were trying to cure the bubonic plague. They tried to use crude spirits flavored with juniper as a medicine. The original juniper based spirit according to B.A.R. research was found by Arnaud de Villanova. Some time later the Dutch would use their juniper flavored spirit to preserve fruits and spices that they traded via the Dutch East India company. As with most things, the taste for gin expanded during the 80 Years War when Dutch and English soldiers were fighting together. The English soldiers saw the Dutch drinking Genever before going into battle and they called this “Dutch Courage”. Eventually the soldiers brought the idea of distilling along with Genever back to England. They would then turn the idea of Genever and alter it, thus sparking London Dry Gin. In 1689 England got a Dutch King (King William). He decided to ban French imports and lowered taxes so it would be cheaper to distill. This spurred the “Gin Craze” due to everyone distilling cheap gin with defects and odd chemicals in it. Later people would start adding sugar to their gin to make it more palatable. This eventually led to what was known as “Mother’s Ruin”. In 1751 after the tippling and libation craze that gin created, the “Tippling Act” was created. People could no longer distill from home and had to buy gin licenses. This produced better quality gin since it was being distilled with care. Technology and distilling techniques began to progress more and more and products got better and better. King Charles I created the Worshipful Company of Distillers back in England because he loved gin so much. By doing so, gin became more refined, both in image and quality rather than the crude spirit it originally was. He also helped agriculture by buying the excess corn and barley from farmers to produce better gin. Eventually gin would also be included in workers wages as part of their weekly pay. One other way that gin really took off in England was due to Malaria. To mask the flavor of quinine, which was the believed remedy for the disease, gin was added. Hence the gin and tonic…..the rest is delicious history. As the 1820’s rolled along, England created Gin Palaces with frosted windows. This was like a speakeasy that Gin companies opened where people could go drink without feeling persecuted. Right around this time, Charles Tanqueray would create his famous Gin that is loved today. Shortly after in 1860 the phylloxera hit vineyards in Europe and destroyed grape crops. This is when Whiskey exploded and prohibition would soon creep in. As prohibition hit the United States, most of the good bartenders left for Europe to where they could continue to create cocktails and serve alcohol freely. Gin continued to do well abroad and at home since it didn’t need to be aged. As the distillation goes, gin is distilled two to three times (depending on the company) in column or pot stills. The first distillation is usually a crude form of a neutral spirit. The second form refines the spirit and juniper berries and other botanicals are usually filtered through to add more complex flavoring. Gin must be a minimum of 37.5% ABV. 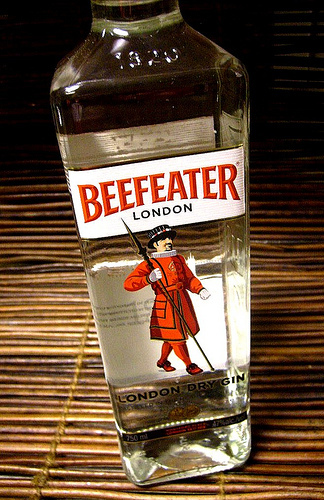 Some gin’s are 2 shot distillations with botanicals being shot through the spirit twice (Beefeater). Others can be one shot gin’s like Tanqueray and Bombay Sapphire (a carter still holds a basket with all the botanicals in it and the spirit is shot through it). A fun fact regarding Juniper berries, is that most distilleries, if not all use berries from Italy. Gin will usually use botanicals such as coriander (cilantro seed), orange peel, lemon peel, angelica root, orris root, cubeb, cassia root, etc. There are several styles of gin today; London Dry and Dutch. A juniper heavy based gin with citrus and spice notes. Aside from juniper berry, there can also be angelica root, coriander seed, orange peel, lemon peel, grapefruit peel, anise, cinnamon, savory, saffron and cassia bark. London gin is also column distilled. It has a juniper forward nose with a hot lemony citrus finish and usually comes in around 40-47% ABV. Old Tom has a slightly sweeter taste of almond, nuts and maraschino. Citrus and some floral notes, backed up with vanilla and some pepper. 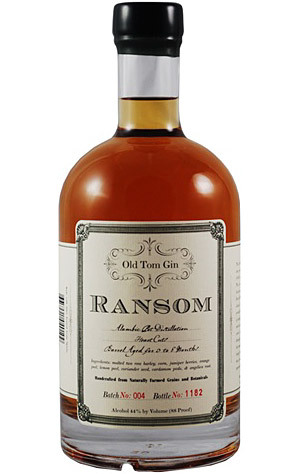 Old Tom under the Ransom name has a Whiskey wash added to it. 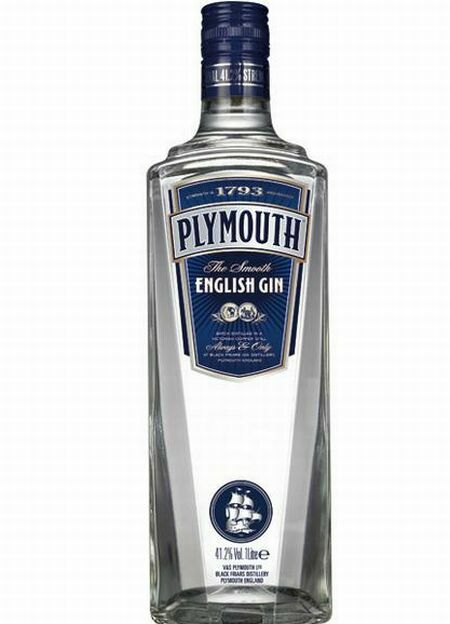 Only gin made in Plymouth, England can be called Plymouth Gin. It comes from the Black Friar Distillery. Usually comes in around 40-42% ABV. Very similar to London Dry. Citrus and Juniper flavors with a dry finish. Fantastic in Martini’s (my personal favorite). 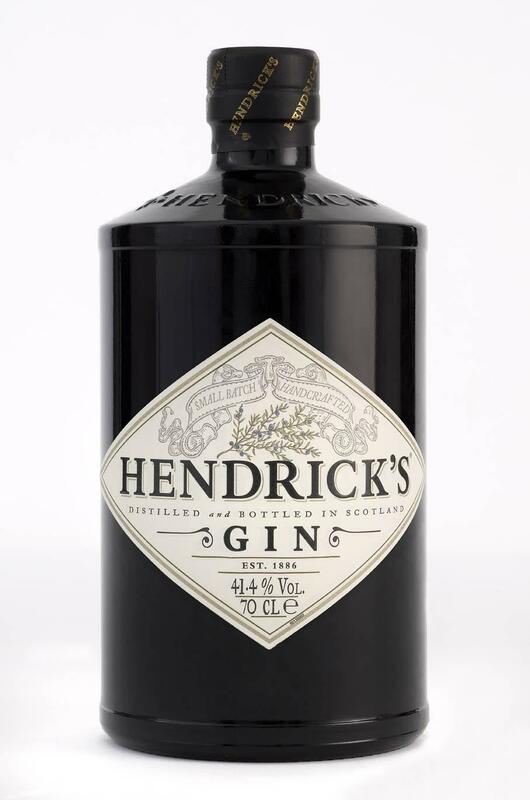 Hendricks is the only gin that I know of that comes from Scotland at this time. It’s distilled with cucumber, juniper, rose petals, orange and more botanicals. It has a sweet floral smell with some citrus backbone on the tongue. Some other types of Western Styled Gin are Aviation from Portland, Oregon and Perry’s Tot from N.Y. Distilling. 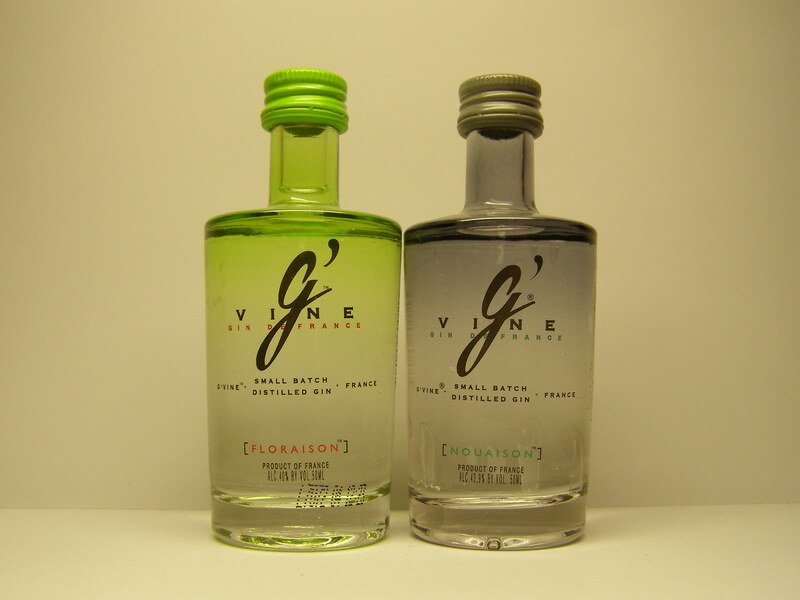 These are two newer styles of gin created by G’Vine. They’re made with Ugni Blanc grape flowers in traditional perfume and pot stills. All the botanicals are infused at different times so no one botanical will overpower the gin. You get very smooth flavor, citrus and lemon notes and cardamom. Floral and Juniper notes pick you up and it is very soft on the palate. There’s a lot of cooking spices like cinnamon, clove, ginger, nutmeg and grains of paradise.